DRAMMEN, NORWAY – Since the time of the Vikings, the natural port at the mouth of the Drammen River, about 40 kilometers from Oslo, has been a bustling trading centre. Today, two 60-metre high cranes serve as a focal point for incoming and outgoing cargo ships. 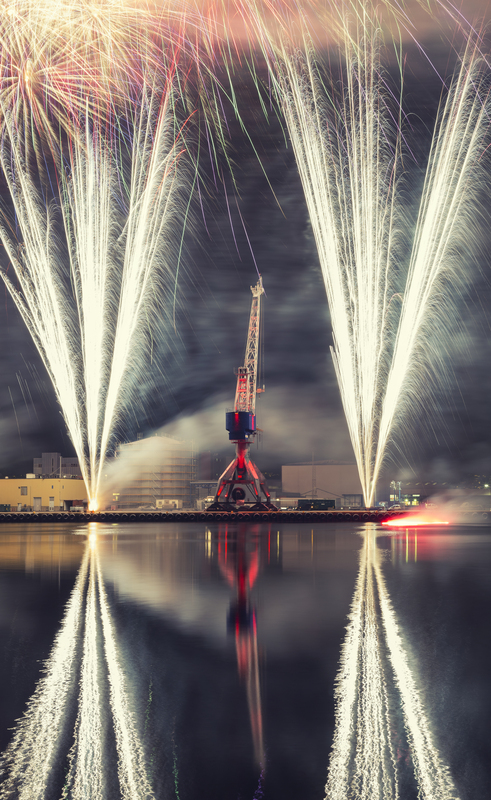 Deciding to add a festive touch to these utilitarian structures for an opening ceremony, the Drammen Port Authority temporarily illuminated them with a rich array of colors from CHAUVET Professional and ILUMINARC fixtures supplied by Rubicon. The opening ceremony, when the lights were officially turned on, was filmed live by NRK (Norwegian National Television Channel) with many celebrities present. They and the national audience watching on TV were undoubtedly impressed by what they witnessed. Using 13 CHAUVET Professional COLORado 2 Quad Zoom IP and 4 ILUMINARC Ilumipanel 90 IP fixtures for each crane, Rubicon illuminated the towering structures in dramatic and vibrant light visible for miles around the city. To illuminate the crane in a number of more tricky to reach areas, Gulbrandsen relied on the COLORado 2 Quad Zoom IP fixtures that were installed on each crane – six units mounted on the legs of the crane lighting upwards, three on the roof of the control tower, and four on the crane structure itself covering the whole crane structure. 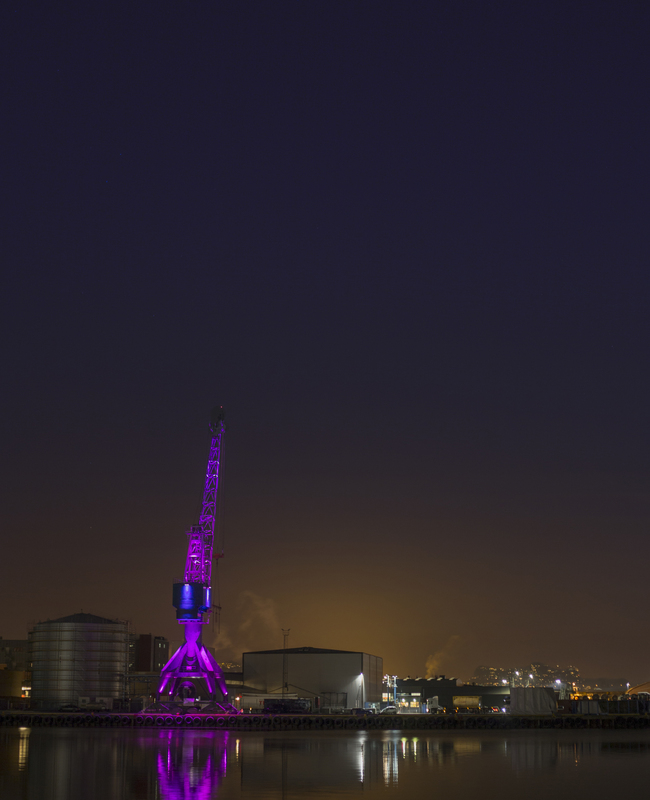 Given the harsh Norwegian winter conditions in the port of Drammen, one of the key practical considerations of the installation was the need for reliable all-weather fixtures. Thanks to the Ilumipanel and COLORado fixtures’ IP67 and IP66 respective outdoor use ratings, the team at Rubicon could rely upon the fixtures despite the harsh northern conditions. 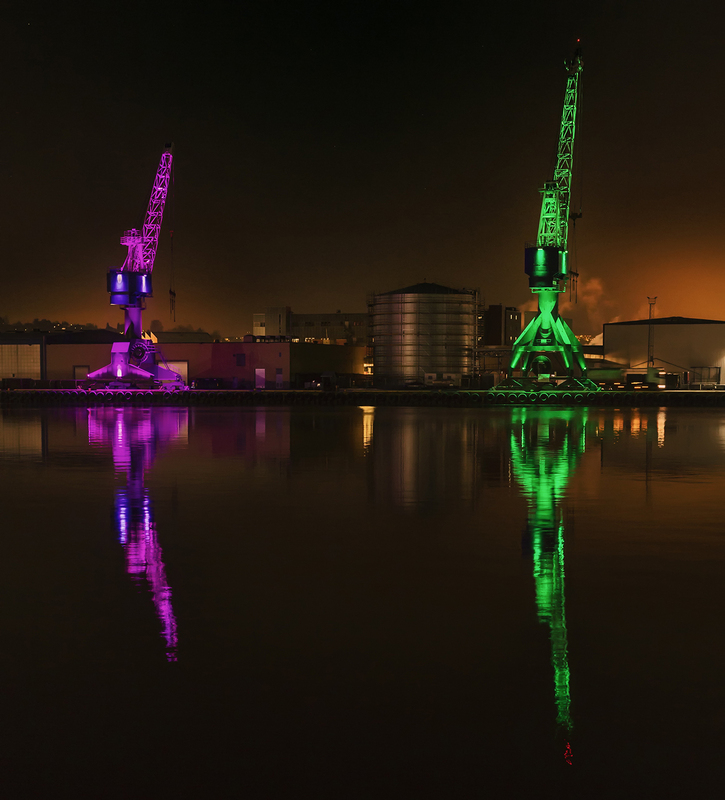 While Rubicon’s installation may not have managed to increase the overall temperature in the port of Drammen, the illuminated cranes nevertheless radiated a festive warmth that was visible far and wide. This was possible thanks to Rubicon’s selection of ILUMINARC and CHAUVET Professional fixtures, which provided warm saturated light all throughout the cold festive period.